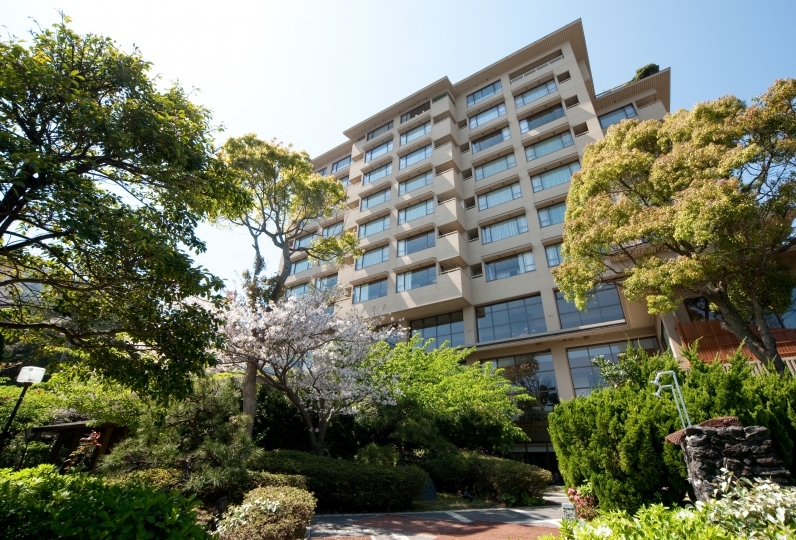 Inatori Tokai Hotel Yuen looks out towards the beautiful Pacific Ocean. 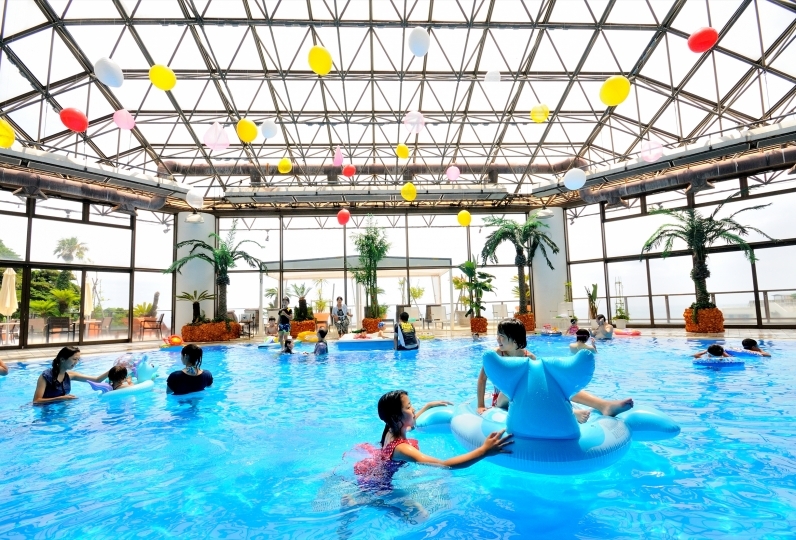 Gazing at the swaying waves and the stretching horizon in the far distance while spending your hours at the hot spring is as if you are on a “hot spring journey”. With our bath that has plenty sense of fun, please enjoy while taking a bath. Spring, summer, autumn, winter: the production of seasonal tastes of cuisine from all four seasons from the red bream and many of Inatori’s luxurious seafood menus is one of the many charms. Gems that you can enjoy with your eyes or your tongues are all here. The are also many fine details in the rooms which customers spend the most time in. 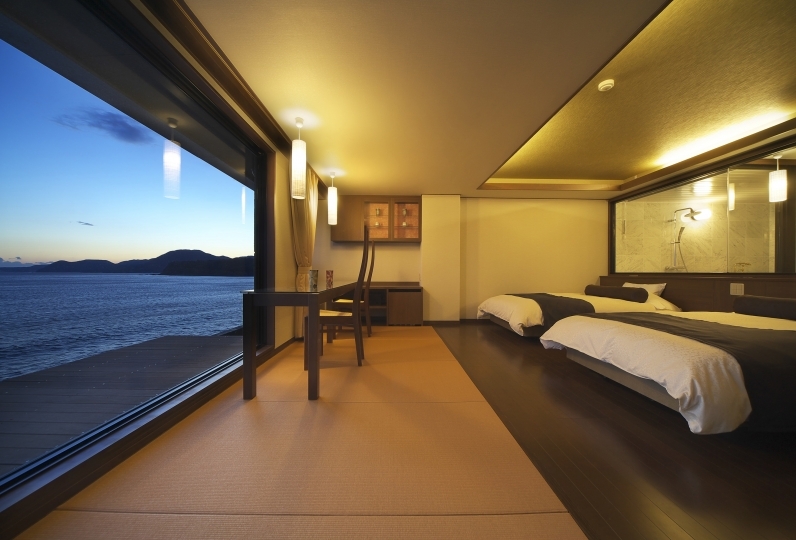 All of the rooms have an ocean view as if you are spending your relaxing moments on a cruise. 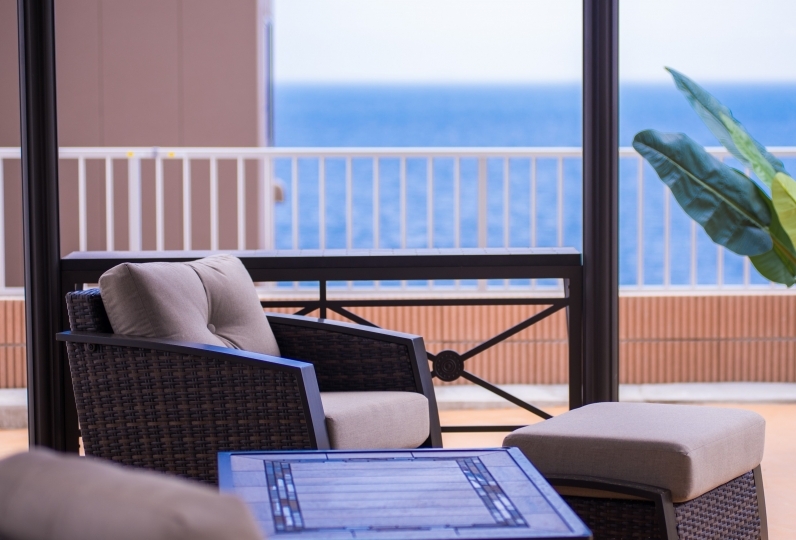 From the deluxe suites to rooms with an outdoor spa please pick the room of your choice from our many room types. 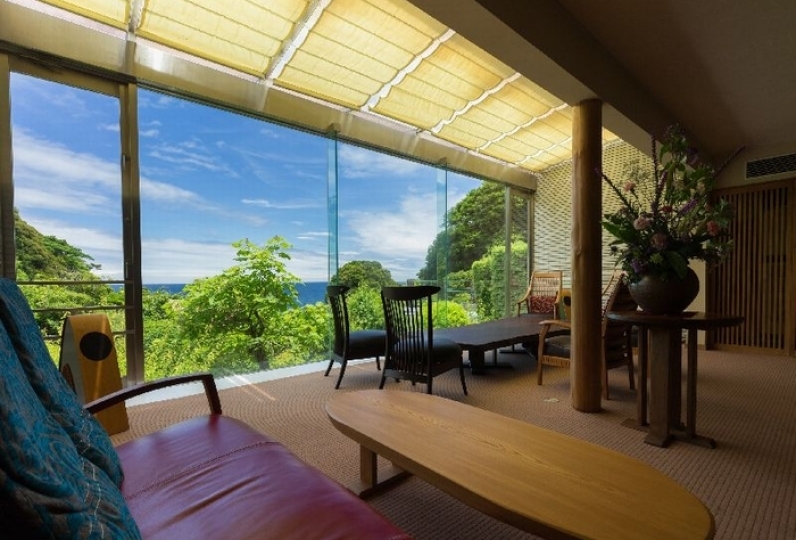 Let the sound of the waves of Inatori sweep away your moods for the moment. 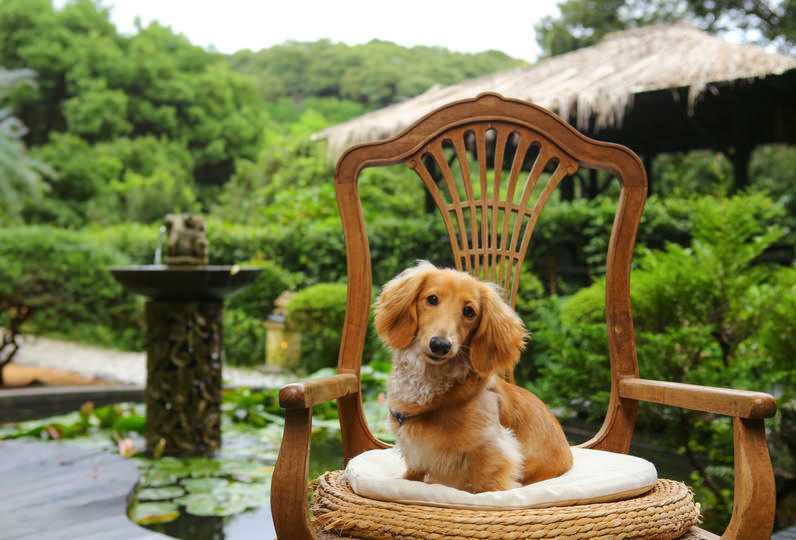 Please bring home with you the many relaxations you’ve experienced. It was disappointing if I could not enter the room slowly because I was not able to explain the open-air bath in the room enough. In addition, it is a pity that I could not drink the hot water in the pot. But the food was great! Two women took care of me. Abalone Ise Shrimp, full course of deep-fried caterpillar of Golden Eye Snapper. I was surprised at the volume full scale. Although it was tasty overall, I thought that it was good to have a cassavago roundabout hard to eat, and personally had delicate dishes a bit more. The bathroom of the room was the best I saw the ocean and I will use it if I have the opportunity. The room and the bath were the best. Dinner was also nice. I want to go again. 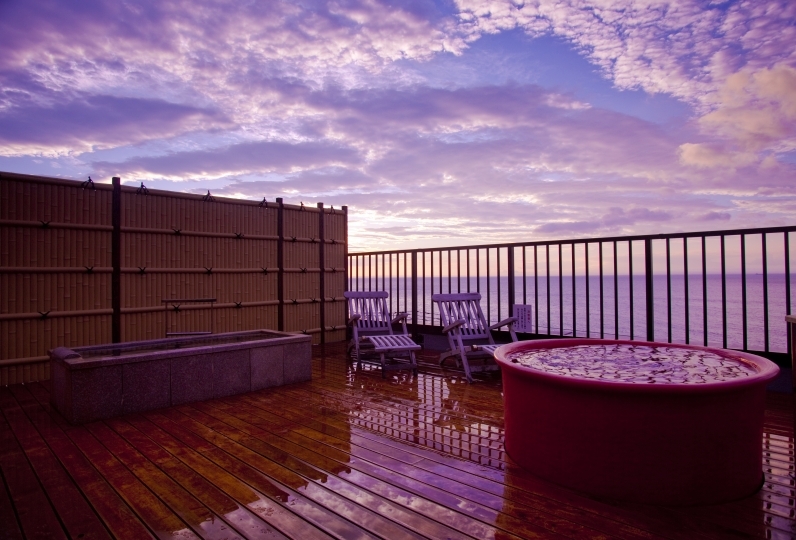 Enjoy the view of the sky and the sea while taking a bath of your choice. The hot spring source is from the Inatori number 1 hot spring. Enjoy the bath while gazing out toward the sea. 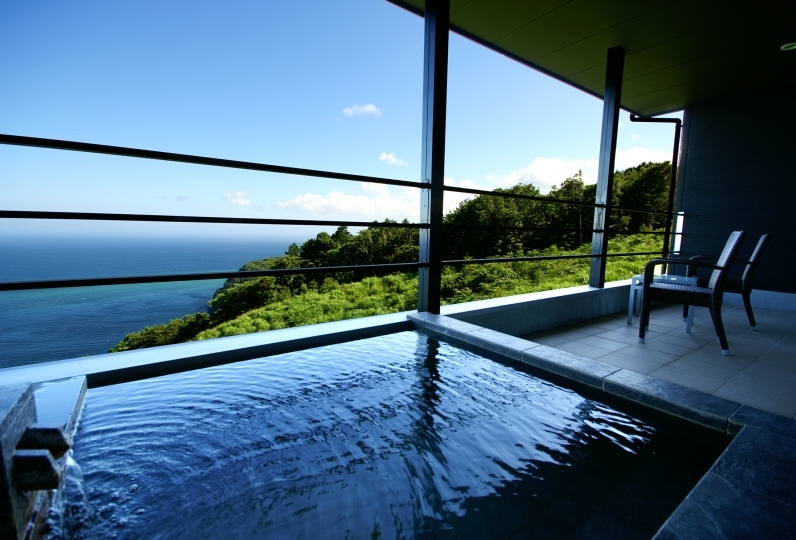 ・Kaishuen：Reservation required（50minutes, 2,160yen)。Large bath on the highest floor with a view of the sea. 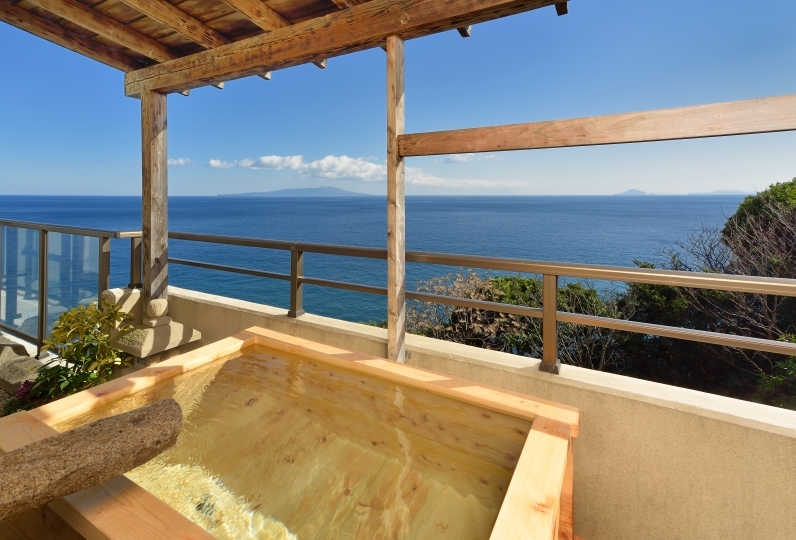 ・Nagisa：Reservation required（50minutes 1,080yen)。Outdoor bath on the first floor where you can enjoy hearing the sounds of the waves. ※As a Relux special, both private baths are free. You can experience facial, body, detox, and aroma oil relaxation. The hotel’s microbus will pick guests up at the Izu Inatori station so please inform the hotel of your arrival time. Please wait at the Izu Inatori station. Microbus hours of operation are from 2:00pm through 6:00pm (we also accept the day of). Microbus transportation from the hotel the next day are at 8:40am / 9:00am / 9:20am / 9:40am / 10:00am / 10:20am / 11:00am.